Approximate Dimensions: 7.75" x 2" x 1.3"
wonderful game for any occasion and can be played with 2 to any number of players. This is a beautiful set of Pick-Up Sticks! It's a game to be enjoyed by the entire family! The player holds the sticks together and lets them go at once, resulting in an haphazard pile. 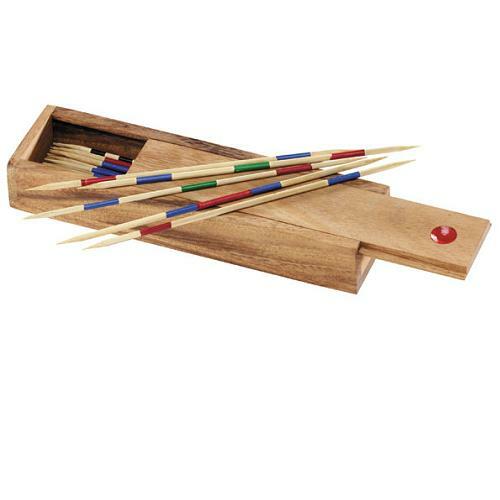 The aim is to fish out the sticks carrying the highest score using fingers or other sticks without causing the others to move. Comes complete with a box and a lid.